PASO ROBLES (CA) – For the third consecutive year, a concert part of the Bud Light concert series will sell-out at the California Mid-State Fair. 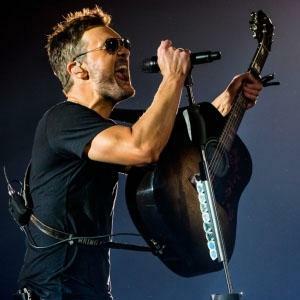 Only a handful of tickets for the Eric Church with special guest The Cadillac Three concert set to take place on July 21, 2018 remain available – those seats are located in the limited view and alcohol-free sections. In 2016, Blake Shelton with special guest Caroline Cole sold out, and last year, two concerts featuring Garth Brooks and Trisha Yearwood sold out within a matter of minutes. Tickets go on-sale for the Luke Bryan with special guest Jon Pardi concert THIS Friday, March 2 at 10:00 am. The Fair encourages all people wishing to purchase tickets for that show make sure their TicketsWest account information is up-to-date, and they are logged into the “Buy Tickets” page at www.MidStateFair.com anytime after 9:30 am this Friday. Fans may also call 1-800-909-FAIR to purchase tickets.